SINGAPORE: Singapore's Agri-Food and Veterinary Authority (AVA) told The Straits Times that it has not detected veterinary drug residues such as nitrofurans and amphenicols in prawns and shrimps from Malaysia. "Veterinary drugs are not permitted in food including prawns and shrimps. Affected prawns found to contain veterinary drug residues...would not be allowed to be imported or sold," an AVA spokesman said. 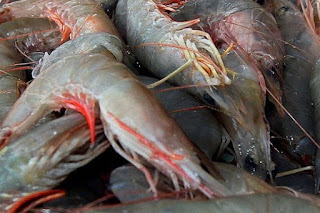 The US Food and Drug Administration (FDA) has claimed that shrimp and prawns from Malaysia contained traces of banned antibiotics nitrofurans and chloramphenicol in shipments to the United States. AVA said that as part of its routine surveillance and inspection programme, imported prawns and shrimps are monitored and sampled for food safety and compliance with AVA's standards and requirements. Food products that fail the authority's tests are not allowed to be sold there. In 2015, Singapore imported 16,400 tonnes of prawns and shrimps, with about 56 per cent, or 91,000 tonnes, from Malaysia. Other sources of prawns and shrimp include Indonesia (12%) and Vietnam (11%). Supermarkets here said their suppliers carry out checks on shrimps and prawns imported from Malaysia to ensure food safety. NTUC FairPrice, Cold Storage and Giant said they also diversify their sources of shrimps and prawns by importing from other countries. FairPrice said this is to ensure that it is "not reliant on one single source of supply". The two antibiotics found in shrimps and prawns from Malaysia are toxic to humans, and can cause health issues, said food safety expert Jorgen Schlundt from Nanyang Technological University's (NTU's) School of Chemical and Biomedical Engineering. "A number of human health effects have been found from chloramphenicol, the worst being (too few bloodcells), estimated to only affect very few people exposed, but unfortunately often results in death for those affected. Nitrofurans have been found to cause cancer in lab animals, and therefore represents a concern in relation to human cancer," said Professor Schlundt. Professor William Chen, director of the Food Science and Technology programme at NTU, said traces of the antibiotics, when passed on from farm-raised seafood to humans "may also contribute to the emergence of resistant bacteria strains in our bodies, which would also compromise the effective antibiotics treatment of subsequent bacterial infections".